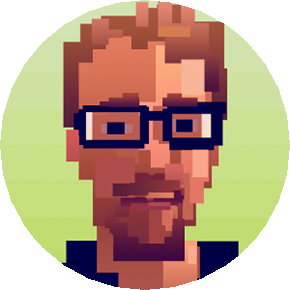 July 2015 – ColePowered Games Ltd.
Hello folks! It”s been quite a while since the last update- so I’m here to remind you that I’m alive. The last few weeks I have been busy big fixing, tweaking and polishing up the game. I’ve fixed bugs, inadvertently created new ones in the process, then fixed them. I’ve gone through each level in the 18-level story mode/campaign and made sure each is balanced and enjoyable. Along side that I’m very close to finalizing the game’s script. Next week I shall begin casting for the VO work- this should be fun! As for the AI, I’ve been pitching it against itself (you can set up the game to play itself if you so desire). I’m currently collecting info from the AI playing over and over again in order to balance character abilities and cards. So far 4 out of the 8 characters I believe to be well balanced, and I’m currently running the second batch of tests to find out if my recent tweaks have improved the other 4. One of the last ‘buildings’ completed was the Canal tile. Concrete Jungle now has some much needed water! I’ve been using this to make the story levels a bit more visually interesting, although you can also unlock it as a starting card. Literally just before I started writing this update, I got ‘Classic’ mode fully working. 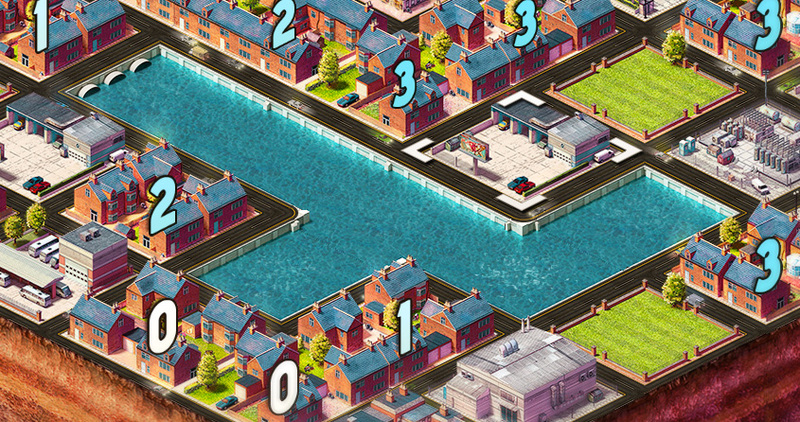 This mode echos Concrete Jungle’s predecessor, MegaCity. The deck building is removed, replaced by an infinite list of randomly assigned buildings. It’s a lighter, more arcade-y style of play and is perfect if you only have 10 or 15 minutes to kill as opposed to the 20+ minutes of the other 2 modes. 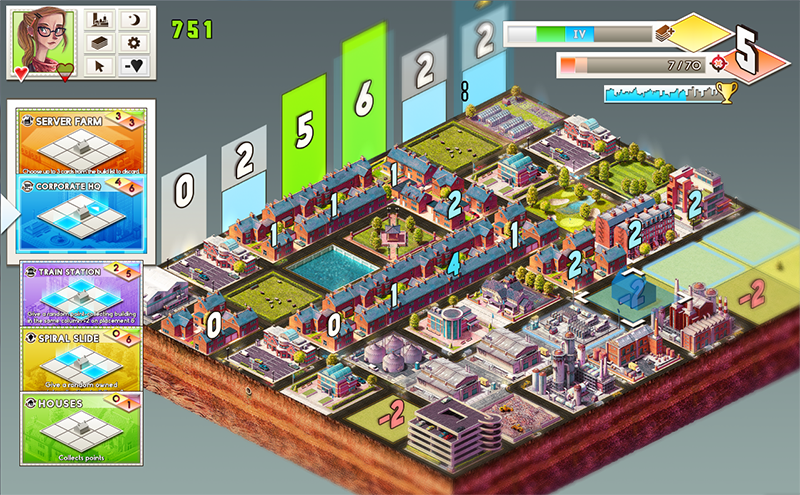 Classic mode plays a lot like MegaCity. Over the next week I’m going to begin revising the main menu and options, shifting the game’s save system to something faster and more robust, and implementing stat tracking. I want the game to keep track of your favorite cards and how many buildings you’ve placed etc- there should be some interesting stats to keep track of. We’re getting ever close to a release now, but I’m not quite at the stage where I can set a date in stone. With the next update I’ll be able to bring you that. The game has seen another large leap forward since the beta in May, so I’m super excited to show you it as it approaches it’s full release. Stay tuned!